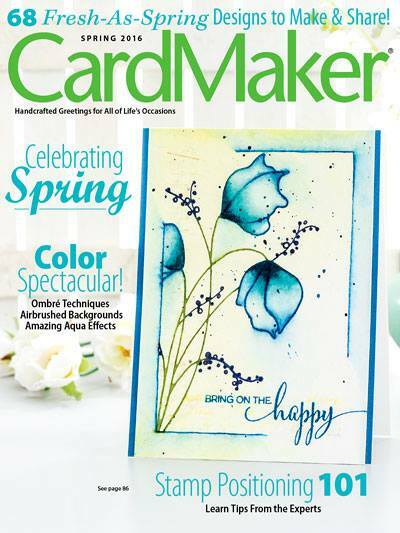 IMAGINE Crafts is proud to feature projects created by our Artists In Residence this week using products from ClearScraps. We hope you enjoy the creativity our team shares with you this week! 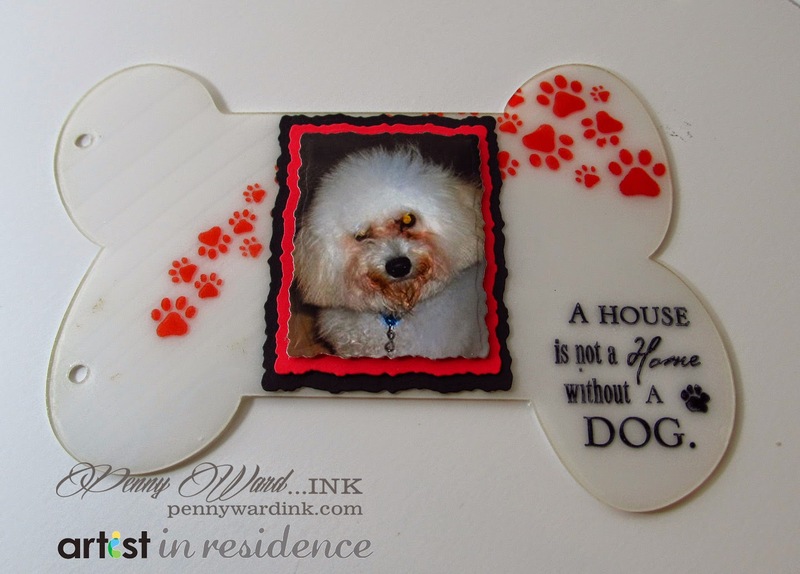 Dog Bone Acrylic Album inked with Jet Black StazOn. 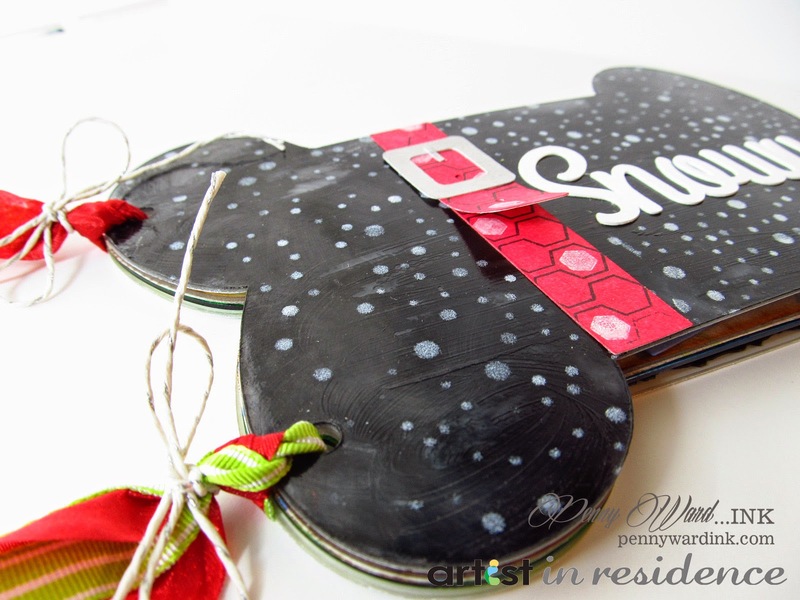 Stenciled the "snow" with Cotton White Stazon. stenciled paws in St. Valentine StazOn ink. 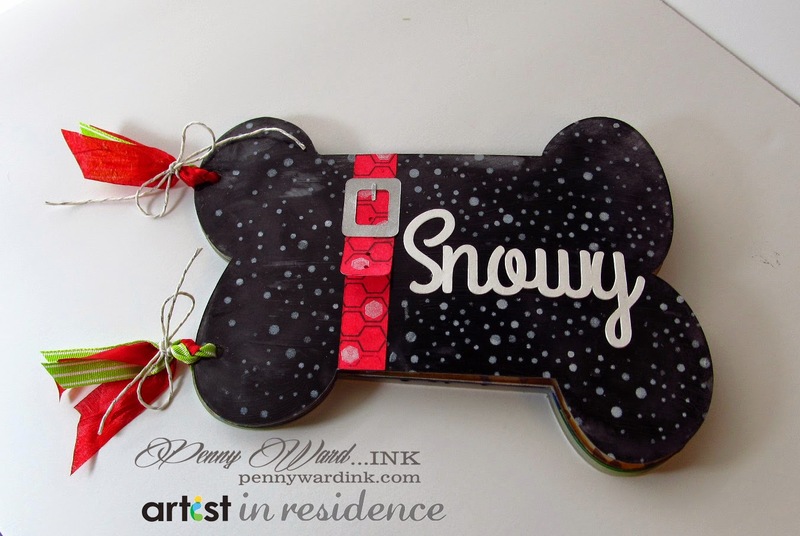 Dog collar & Snowy made with Silhouette Cameo. May Arts ribbons pulls it all together. If you've missed the other projects this week please visit the IMAGINE Crafts Blog. Imagine Crafts/Tsukineko: StazOn inks - Cactus Green, Jet Black, Cloudy Sky, Blue Hawaii, Spiced Chai, St. Valentine & Cotton White. Clear GlazOn. Delicata Silvery Shimmer ink. 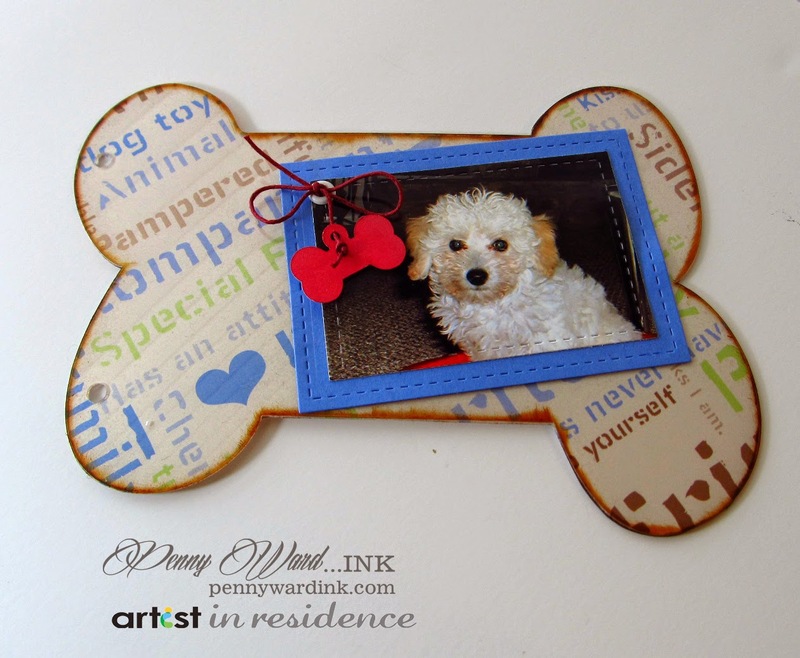 Penny, I love what you did with the Dog Bone book. It's so cool and makes Snowy even more adorable. Great work! This is so adorable!! Snowy is a doll! TFS! 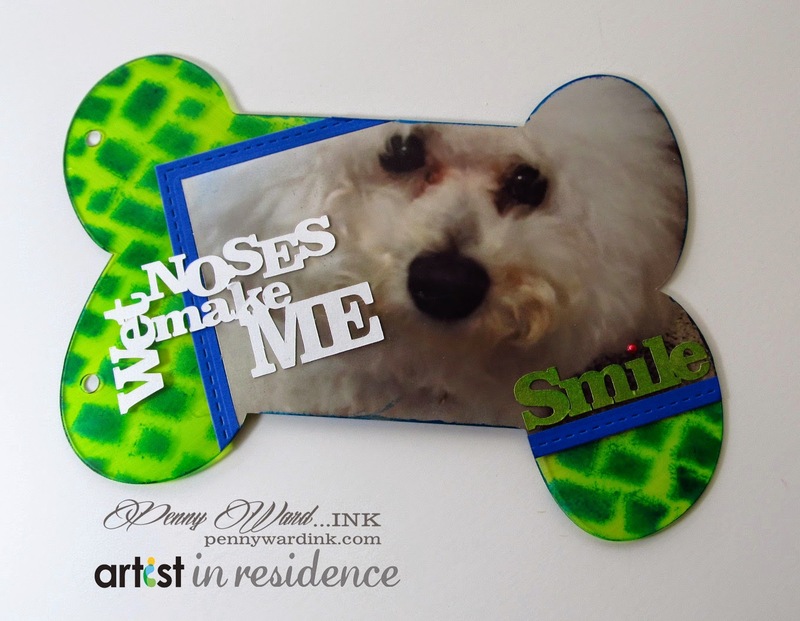 What a terrific project and such a great thing to have made in Snowy's honor!! So cleverly done!! You did it!! An album for Snowy!! How darned cute!! Your album is just too adorable, and so is Snowy. Great job.